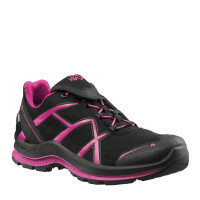 Product information "HAIX Black Eagle Adventure 2.0 Ws GTX low/black-magenta"
GORE-TEX Extended, 3-layer GORE-TEX laminate, waterproof and highly breathable. Abrasion resistant lining with optimised climate comfort, ideal for changing indoor and outdoor use. 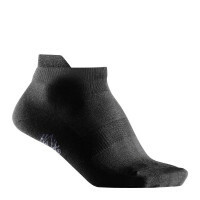 Moisture wicking comfort insole with improved cushioning and antibacterial properties. Extremely durable polyester material with breathable polyurethane foam. 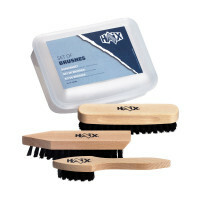 Washable up to 30o C. AIRFLOW channels.